Wiltshire at War: Community Stories is a five year Heritage Lottery Funded project, aiming to discover, explore and share stories about Wiltshire’s response to the First World War. Since 2014 we’ve travelled the county collecting stories of the amazing men and women who were affected in some way by the war a hundred years ago, such as ‘Fiesty Aunty Olive and the Women’s RAF’, ‘Young Freddy Butler – from the farm to the Royal Flying Corps’ and the ‘Soldiers and Sailors Free and Easy Club’. We have also used the stories to create a series of exhibitions – ‘The Call to Arms’, ‘Wiltshire Does Its Bit’ and ‘A Child’s War’. While we’ve written about the project before, it’s worth taking another look as we’ve just launched the fascinating fourth exhibition – ‘Keeping the Home Fires Burning’. This explores how the war affected everyday life in Wiltshire, including the new roles taken on by women, rationing, daylight saving and the refugees who fled to England from Belgium. 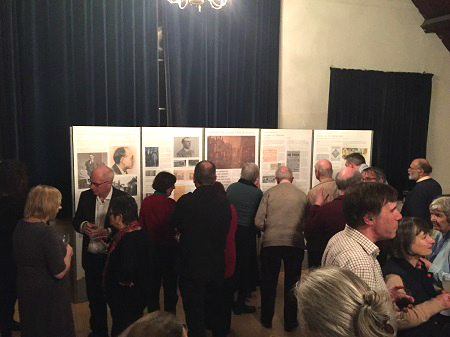 The new exhibition was launched on Friday 3rd March at Athelstan Museum in Malmesbury. 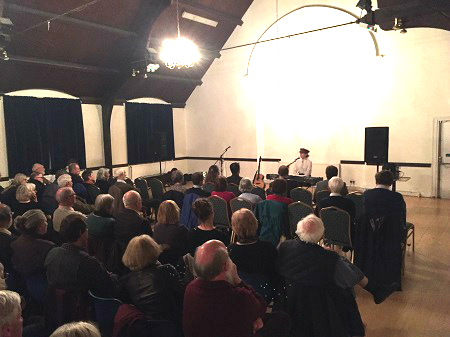 A large crowd gathered for the event and following the official opening of the exhibition, musician and singer Louise Jordan took to the stage. Louise spent a year researching and writing songs about the remarkable women involved in World War One, who are often overlooked in conventional histories. ‘My good lady, go home and sit still. We don’t want any petticoats here’. Not to be discouraged, she set about raising the funds to set up hospitals and field units across Europe, staffed by over 1000 women, often in dangerous situations. A truly inspirational woman whose contribution deserves to be remembered. The exhibition will be on display at Athelstan Museum until the 15th May. All four exhibitions are available for hire free of charge – please drop us a line through the contact page to find out more. If you have your own family story to tell, you can upload it on to the website or contact us.